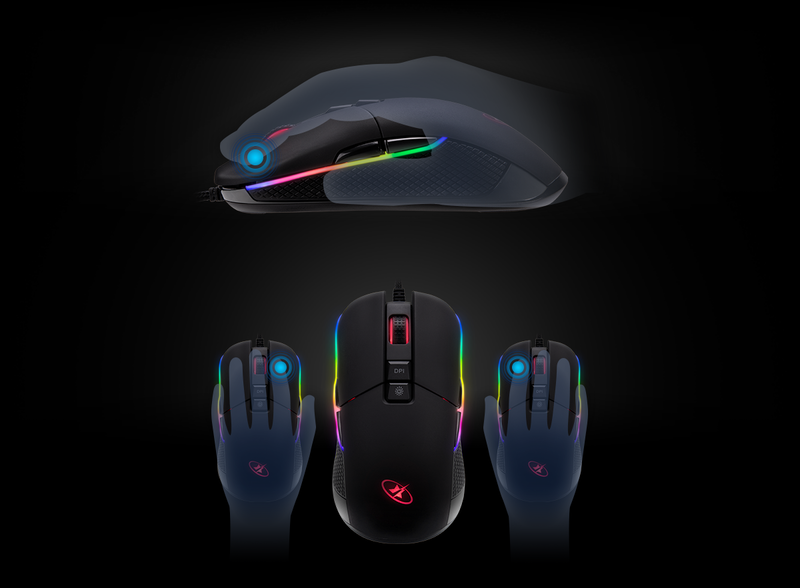 Designed with an ergonomic profile fit for all hand grip styles and perfect for FPS, MMO, RTS and MOBA right or left hand players. 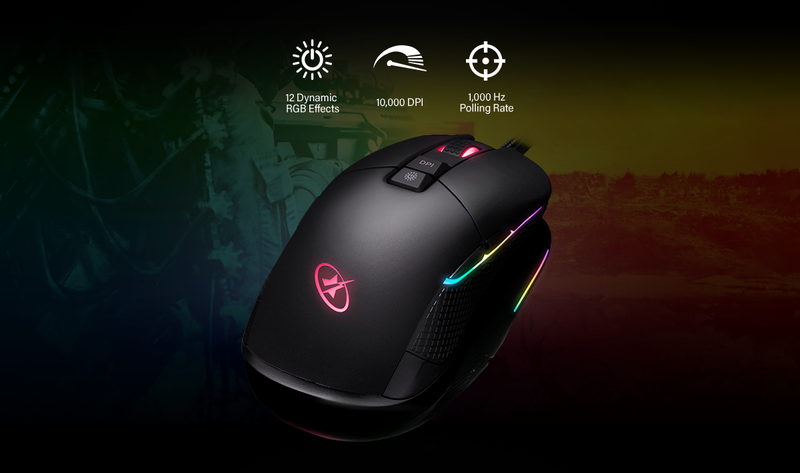 Whether you dominate right-handed gameplay, possess left-handed steady aim or prefer to switch it up during your battle sessions, this gaming mouse is ideal for more comfortable victories and less resting time. 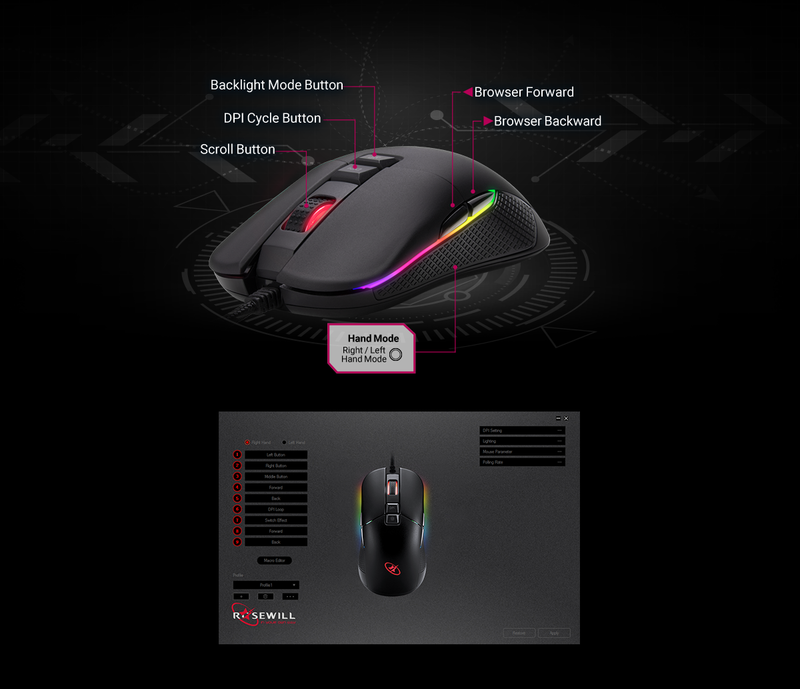 Equipped with dynamic RGB effects and 12 backlight modes to match every computer setup, game, mood and occasion. Experience 3 zones of illumination that will light up your path to victory, featuring a sleek shape and textured grip accents for a steady hold on your gaming. 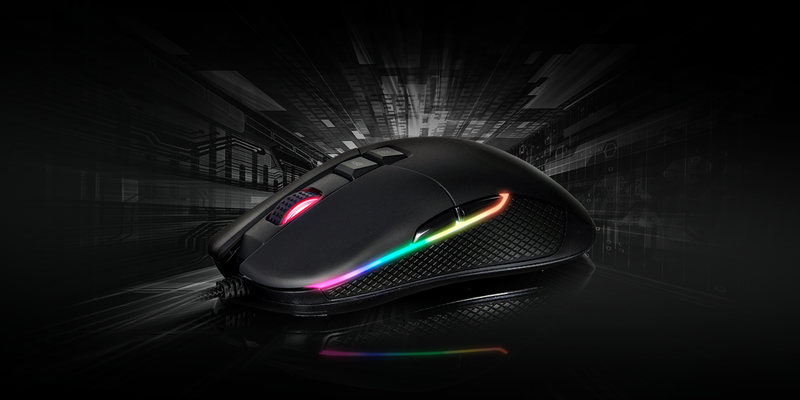 Engineered with an advanced PixArt PMW3325 gaming sensor for impeccable precision. Instantly adjust mouse sensitivity and select your optimal DPI level from 6 default values ranging from 800 to 10000. For even more customization, use the included software to set your DPI starting from 200 up to 10000. Dominate battlefields with high speed and accuracy. Featuring 9 programmable buttons, tailor commands for an edge over competitors and set any Fire button of your choice. With easy macro recording, program a series of key presses and clicks into one single mouse button for instant combos or spell casting in seconds. Strike swiftly with convenient controls in the grip of your hand without reaching over to your keyboard. Play with precision and flare!